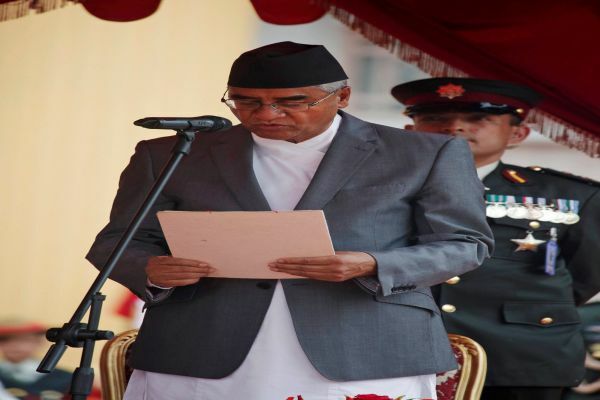 It has been three weeks since Sher Bahadur Deuba was elected the 40th Prime Minister of Nepal. But he has been unable to give a full shape to his cabinet. Even in three weeks after his appointment to the top post, he has only an 8-member cabinet to run the state affairs during election time. He himself is looking after the portfolios of 21 ministries. Moreover, he has not appointed advisers and experts. He has been taking important decisions on his own. Deuba, who was once dubbed as ‘incompetent’ PM, looks really incompetent in expanding his cabinet and appointing a team of advisors. If one visits Singh Durbar these days, one can realise absence of the government. You cannot see ministers as they have been to districts for the second-phase poll. Many works have been affected in absence of ministers. It is said that Deuba who has been unable to appoint the office bearers in the central committee of his party—Nepali Congress—even 16 months after his election to party chief has failed to appoint ministers due to increasing number of leaders showing their interests in the cabinet. It seems Deuba may be running the government with only eight ministers throughout his tenure as he has been running his party without appointing office bearers!